In addition to beautifully made low emf wood Sauna Boxes we also recommend this model which may offer more flexibility in terms of height and bulb placement. You can easily use this model while sitting or laying down. Each light can be turned on and off individually making this perfect for single light sessions – such as shining a single light on your abdomen during your coffee enemas. The sauna stand offers a total of 750 watts (250 watts per bulb) and is made in the USA. Each set includes a lamp, bulbs, and protective bulb cages. This lamp comes with a 1-year warranty. Place the panel in front of you, plug it in, hit the switch and you have yourself a powerful and safe 3 lamp near infrared sauna. Refer to the infrared sauna therapy article for detailed instructions on how to safely begin your sauna sessions. Most of the minerals and supplements recommended in your program are specifically formulated to support specific hair mineral analysis patterns. These formulations are available for purchase directly from Endomet Labs. Here is the order form you will need. One of the most helpful alternatives we have used when dealing with healing reactions or infections of many kinds. Colloidal Silver is a simple, low toxicity, and often very effective anti-viral, anti-bacterial, anti-fungal and even anti-parasitic agent. It consists of small, electrically charged silver ions dissolved in distilled water. We use it whenever we feel anything starting to come on and have been very happy with it. It is also available in a gel format for skin irritations, cuts, scrapes or rashes. Not all colloidal silvers are the same, quite the opposite, at this time We recommend the Sovereign Silver brand. One of the simplest and least intimidating meditations I have ever experienced. This is one anyone can do easily regardless of their experience or state of health. Online recording by Roy Masters available here. Practice this anytime of the day but especially during your saunas or enemas. Dr Wilson has a modified recording available here. With this easy to read book and recipe guide, Joy takes the guess work out of the Nutritional Balancing diet allowing one to find recipes that work for ones oxidation type. Beyond recipes, Joyful Cooking also offers excellent information about the foods we should avoid and why, shopping guides and much much more. 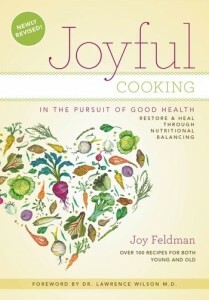 In Joy’s new kitchen resource, this unique cookbook for both young and old, not only provides over 100 recipes for health conscious cooks, but also contains groundbreaking new information in eight easy to read chapters on the nutritional balancing program: a total healing system designed to restore and balance the body and the mind. Joy even includes strategies that will help any parent incorporate better health for the whole family. Kids of all ages can benefit from the healthy eating guidance offered in her chapter on Healthy Children and recipes dedicated to children ensuring that they are getting a nutritious diet. These ingredients used to balance, restore, and heal, are for all individuals, both young and old, in pursuit of good health. 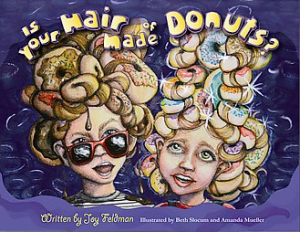 This is a wonderful children’s book that teaches the importance of a healthy diet and the scary truth behind sugar and sweets. This book is easy to read and will make a great bedtime story, planting the seeds which will help your child grow strong and healthy. “In a world that super-sizes everything, the Blossom family does things differently. Matt and Maddie Blossoms Mom doesn’t allow them to eat donuts, candy, chocolate…you know? All the things kids really, really want. Discover why we need this safe and effective detoxification tool today more than ever before. Sauna uses for all cases and conditions are clearly presented with easy to use plans to set up your own infrared sauna. An essential book for anyone on a Nutritional Balancing program. 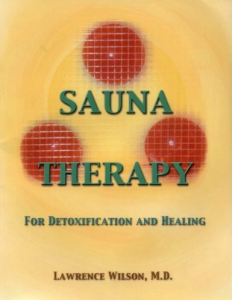 Sixteen chapters describe the use of saunas for detoxification of heavy metals and toxic chemicals, and for alleviation of infections and other disorders. Cute Little Guide to Grow, Make & Store Your Own Organic Veggies Anywhere! 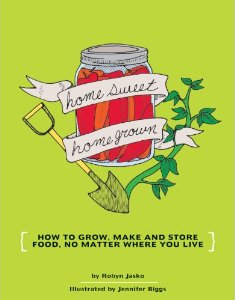 This succinct handbook is packed with practical information that will inspire and enable those who want to grow their own food and venture down the path of food independence. From choosing and starting seeds to preserving the harvest, cost effective and time-saving projects are set forth in detail. Listed above are just a few of the projects that will inspire neophyte and experienced gardeners to dig deep into sustainable living.